Need to save a little money on greeting cards? 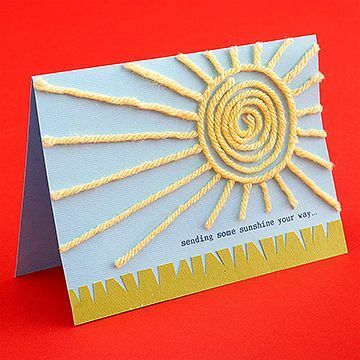 Your friends and loved ones won’t feel like they are victims of your thrift (or stinginess) when they receive these beautiful home crafted Yarn Decorated Greeting Cards! Instant family keepsakes!